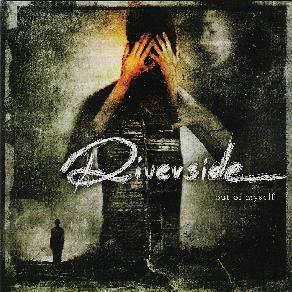 Riverside - "Out Of Myself"
Out of Myself is the debut album from Poland’s Riverside. Stirring up a potent brew of melodic progressive rock and metal this is music reminiscent of Opeth and Anathema, but without the guttural death metal style vocals. But what sets these newcomers apart is their use of keyboards to create rich, atmospheric textures throughout, hinting at a Floydian influence. The band certainly has the chops to be called progressive, and they play with a mesmerizing energy and precision, especially on the lengthy opening track, The Same River. But they remember, even on this 12-minute track, to focus more on songwriting, rather than complexity or virtuosity (though they have both of these as well!). This really shows on the moody, more acoustically inclined tracks like I Believe and In Two Minds. There are also some nice swathes of organ in the latter of the two that give the music a lovely liquid and shimmering depth. Lead singer Mariusz Duda especially shines on this piece. His vocal style is rich, evocative and emotional. They move easily from these darker, brooding pieces to tracks that soar with a near symphonic feel while heavy guitars crunch beneath. They even give us a couple of excellent instrumentals in Reality Dream and Reality Dream II, which show off more of their experimental side and definitely more progressive side. This is definitely a band with a promising future, if this first album is any indication. Fans of the less death metal sides of Opeth and Anathema, as well as latter day Porcupine Tree fans should snap this one up. For more information you can visit the Riverside web site at: http://www.riverside.art.pl. Out Of Myself is distributed by The Laser's Edge. You can visit their web site at: http://www.lasercd.com. Contact via snail mail c/o The Laser's Edge; PO Box 388; Voorhees, NJ 08043-0388.